From pursing a job opportunity in tech to relocating closer to friends and family, there are many reasons you may be considering moving from NJ to San Jose. Whatever your unique motivations may be, choosing an experienced moving company will make this cross-country transition much less stressful. Since 1977, Simonik Moving & Storage has offered professional moving services to thousands of customers just like you. Our premium customer support and demonstrated commitment to excellence have earned us accreditation from the Better Business Bureau as well as multiple awards from our partner, Allied Van Lines. 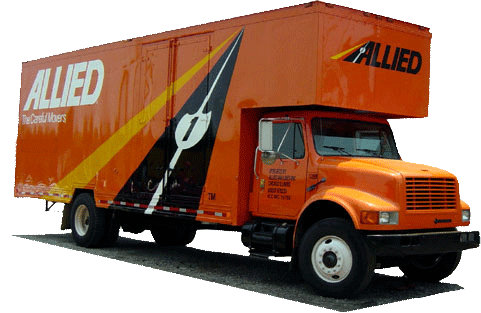 As an award-winning Allied agent, we have the nationwide network and advanced moving technology to effortlessly handle household moves of any size—anywhere in the United States! Whether your household moving needs are large or small, it’s important to choose a moving company that’s both equipped and eager to fulfill them. Because we care about your satisfaction from the very beginning, we’ll start with a free in-home cost estimate from a specialist who is experienced in moving to San Jose from New Jersey. To make sure you feel comfortable from start to finish, we’ll also pair you with a skilled Relocation Coordinator who will answer any questions and guide you through the moving process. At Simonik Moving & Storage, we’re more than just a moving company—we also offer short- and long-term storage in highly secure warehouse facilities. If you aren’t quite ready to receive and unpack your belongings in your new home, just let us know! We can securely and conveniently store your household items, right in their specially designed shipping containers, for as long as it takes to complete your move from New Jersey to San Jose. As a locally owned and operated business, we’re proud of our New Jersey roots. For a move from NJ to San Jose, we happily serve households across North and Central Jersey including Hunterdon, Mercer, Middlesex, Monmouth, Morris, and Somerset counties. Our exceptional quality has been recognized by the New Jersey Warehousemen & Movers Association, earning us the past title of “Mover of the Year.” Beyond our award-winning service, we also stay up to date on the latest requirements for long-distance moves through our status as ProMover with the American Moving and Storage Association. To learn how our experienced movers can make NJ to San Jose moving effortless and stress-free, call Simonik Moving & Storage today! You can also get started right away by submitting our online quote form to request your free, no-obligation estimate.